You can use a microSD card up to 32GB in size to increase the memory available on your KidiBuzz™. 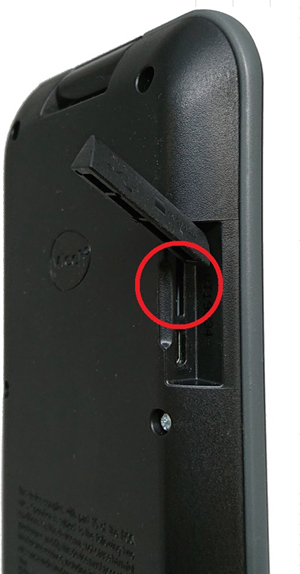 First, locate the microSD card slot on the left side of your device. 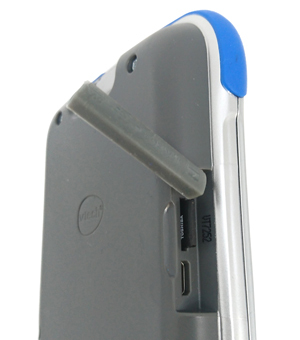 Insert the microSD card with the label side facing the back of the device and push until you hear a click. TIP: If you want to copy MP3 files or videos to your KidiBuzz™, refer to the tutorial "How do I load music files onto my KidiBuzz™?" and "How do I load videos onto my KidiBuzz™?" for help. To remove the card, push down until you hear a click and let the card pop out slightly. Then, remove the card with your fingers.